In The Cat Cave: Some exciting news! I have been dying to tell you and now the day has finally come!! I have been lucky enough to be selected as part of the design team at Stuck on You Sketches!! What's even more fun is that I am part of the new Project Life team. 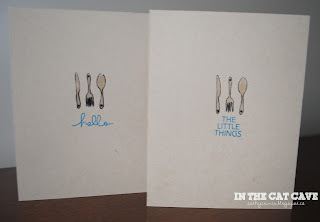 I plan on incorporating the Project Life theme with your every day scrapbook album. I absolutely cannot wait to show you my ideas. Not only that but I am thrilled to be part of such a fun and talented team! Now everybody get up and do your HAPPY DANCE. I'd love to see you participate - Every second Monday beginning June 3rd you will be given a new challenge to incorporate in your Project Life pages. If you've never done Project Life officially, like me, join me on your adventure. We promise to inspire!! As a side note, I have been working on a submission over the past week and so I can't show you what I've been working on.... Maybe soon!! (Fingers crossed!) Lots of other fun projects are happening... and lots of princess ideas being flung around for my daughter's birthday party. 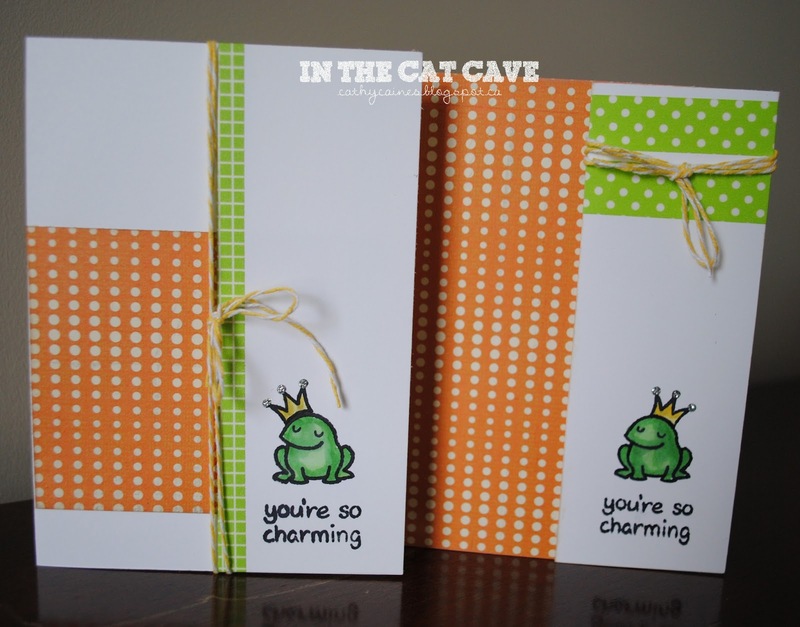 Check out some of the cards I finished up from the retreat I went to at the end of April. 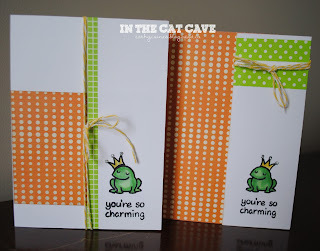 These are largely Technique Tuesday and Lawn Fawn stamps sets. Weehoooooooooooooooooooooooooooooooooooooo! Happy long weekend in CANADA! SO HAPPY for you Cathy !! Well done !! Can't wait to see all the beautiful designs you come up with !! Hugs friend !! Yay! Awesome and super exciting! Way to go, Cathy! Congrats! Looking forward to seeing your wonderful ideas.